This item makes it easier to keep your workplace clean. Easily connects to 1-1/4 In., 1-1/2 In. and Bosch and other European-designed vacuum cleaner hoses. 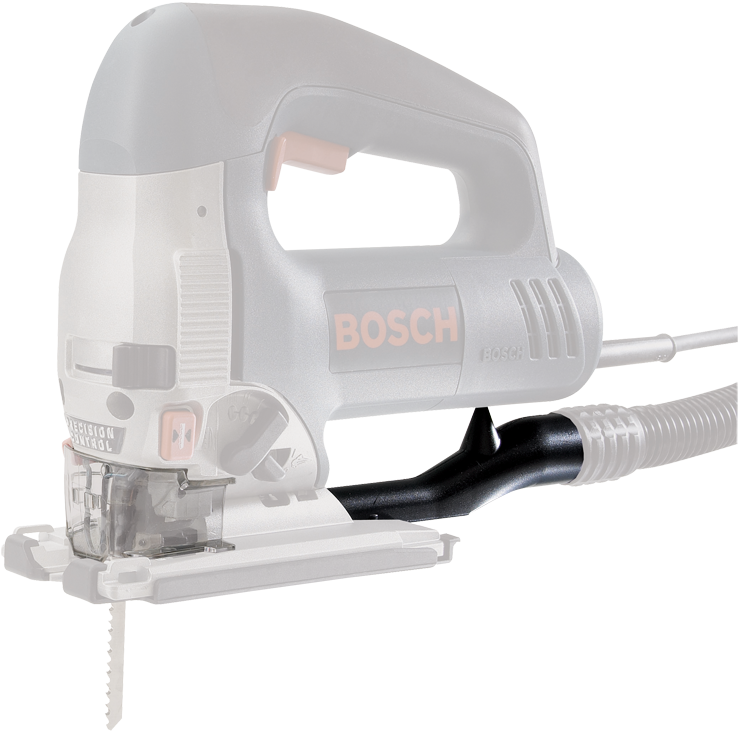 For use only with Bosch 1590EVS and 1591EVS jig saws. Used on Part No. .